Running from Colombia through to the the Amazon river in Brazil while skirting the borders of both Ecuador and Peru, can be found the Putumayo river. It was the rivers natural beauty that caused Dan Storper to give his handcrafts shop, and then in 1993, the World music label imprint it’s name, Putumayo World Music. 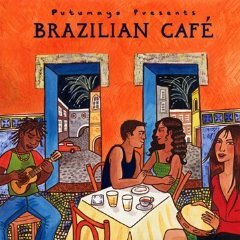 The music label’s motto, “guaranteed to make you feel good” started weakly with both Italian and French Cafe compilations, however the latest realease, “Brazilian Cafe” delivers some really upbeat feeling’ good music. This is a samba, bossa nova and jazzy grooved compilation, in an Antonio Carlos Jobin style (if that name is also a mystery to you, for goodness sake subscribe via RSS or Twitter now, for musical revalations in the coming months), featuring songs that will pour effortlessly from your stereo. In this happy and care free vain both ‘outro logar’, by Toco, and ‘Quando O Carnaval Chegar’, by Marcia Salomon come through as the strongest performances on the album. If you’re looking for a good all-round compilation that covers a good range of songs of what Brazil does best, this album is one of the stronger ones available at the moment, and it’s why its been in the top 10 albums on the Billboard World music chart since being released. 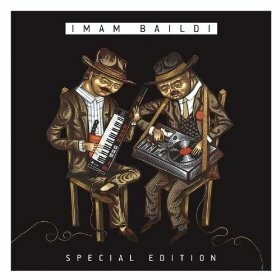 Imam Baildi, literally the Imam Fainted, is a dish traditionally prepared with aubergines, and involves cooking it over a flame until it can take no more!. It’s the name that both Orestis Falireas and Lysandrop Falireas have given to a music project that sees Greece’s urban music genre Rebetiko, catapulted into the 21st century. They’ve done to Rebetiko what Gotan Project’s did to Argentinian Tango, and in the process evolved the genre as we know it. 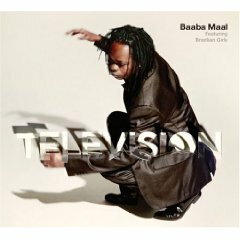 Tracks such as ‘De Thelo Pia Na Xanarthis’ leap out, starting with Cuban All Stars style of introduction, before kicking in with a funky beat and spidery guitar. A couple of tracks could probably have been dropped from the album to make it as awe inspiring as some of stronger performances the CD contains. A positive effect of this CD will be to expose audiences to a tucked away genre in Greece’s music history, and it’s certainly had that effect on me, I want to learn more about Rebetiko, thanks guys. This album is currently only available for purchase in Europe or in specialist stores in the US. 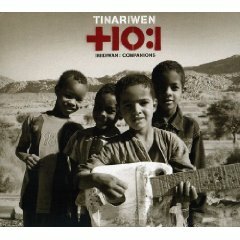 Tinariwen’s latest album, Imidiwan, follows on the success of groups 2007 release “Aman Iman: Water is Life”. I’ve been following the groups success right from their beginnings. The story behind the music is one of bloodshed, rebellion and suffering, for an excellent write-up see Andy Morgan’s biography on their website. For us, it’s the music that moves us, and probably one of the strongest tracks on the album for the uninitaited will be “Lulla”, a track which begins disguising its true intentions, with a few scant hand claps and some incidental plucks at a guitar, before unleashing a jaw dropping groove to liberate the soul. “Tenhert” is also very special with its head nodding chords and reflective vocal passages, while “Enseqi Ehad Didagh” will go down well with long time Tinariwen fans as will the slow and meditative melodies of “Chegret”. While African blues traditionalists may still argue that “Amassakoul” is Tinariwen’s best contribution to the genre, it would be a mistake for them or any other music lover to dismiss “Imidiwan” on the grounds that it is a departure from the groups earlier sound. The new album represents a much more polished and refined offering than their previews relsease. Tinariwen have found their comfort zone and strike a formidable balance between old and new styles, with the result that Imidiwan represents their strongest offering to date. This is an African Blues album at its most accessible, and has something for everyone. 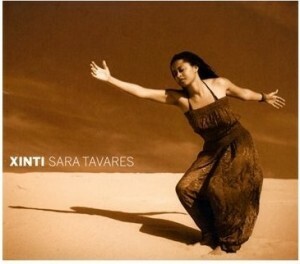 Born in 1978 Sara Tavares grew up in Portugal but is originally of Cape Verdean descent. It was not until 2006 with her album release “Balance”, that I first discovered this versatile and expressive singer. All the songs were written by Tavares herself, and she also played most of the instruments too. It should be no surprise to hear that Tavares was only 16 years old when she won two of Portugal’s most prestigious TV music contests. Her musical style of Gospel, Funk and Soul bridges the two cultures of Cape Verde and Portugal, while as a young artist, she draws inspiration from a range of contemporary music styles too. Her music can be at times melancholic and reflective, while also being upbeat and energized. It’s this that makes the artist one of the most dynamic that Portgual has produced in recent years. Three years since ‘Balance’ and Tavares is back with another album “Xinti“, which although needing a few more listens than the instantly accessible “Balance”, represents another fine chapter in this artists career. One of the strongest songs on the album, “Di Alma” brings her spectacular voice and a funky bassline together. You can purchase the her latest album from Amazon here. We start our journey with an album that is still affecting me more than 2 years after I purchased it. As much as when I became entranced by Antonio Carlos Jobin’s ‘the composer of desifinado plays’ . It has a similar simple style with beautiful acoustic playing, but it does not derive its influences from the soft Samba sounds, but the more melancholic depths of Portuguese Fado. Fado music has a strong reflective component to its narrative and its name is drawn from the Latin word “fatum” meaning fate, and the inexorable destiny that nothing can change! It is a music that looks back on history with awe, held strong in the belief that everything was wonderful once upon a time, and now it’s all gone wrong. Having said that, what this album manages to achieve, due to the dexterity and skill of Mario Pacheco’s finger plucking and the ensemble’s collective mastery in their own instrumentation, and where so many other Fado albums might leave you reaching for the gun and a family photo, is how it throws glorous rays of light over a music that can become a little depressing after prolongued exposure. What’s also impressive is the collection of soloists that have been pulled together and feature on this album; Mariza, Ana Sofia Varela and Rodrigo Costa Felix arejust some of the heavyweights on board for the show. Mario Pacheko himself is a master of the Portuguese Guitar, an instrument with origins in taken from the Western European Cithern and comprised of 12 steel strings with a sound more akin to a harpsichord than the classic guitar we all know and love . Compared to the sunny tones of Modeste or the meditative Afel Bocoum, the Portuguese guitar has a much colder edge which is why it compliments Fado music so well, adding even greater historical distance to the music’s lyrical content, and the past it reflects on. The album you can discover this is, ‘Mário Pacheco – Música e a Guitarra‘ and audiophiles will not be disappointed by the recording quality of the performance, despite being played to a live audience. It also comes with a DVD of the entire concer which is simply magical. If you buy just one Fado music album in your life, make sure it’s this one.